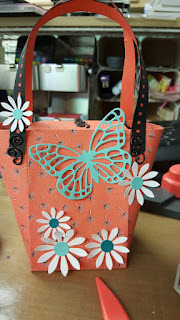 Welcome to Stampin Friends May Blog Hop! This month we are sharing Get Well, Sympathy and Thinking Of You cards and projects. If you just arrived from Siara's Blog thank you for continuing with the hop! to you from each blogger. Details below! For my first card I decided to make a sympathy card. I started with a piece of water color paper and spritzed it with water. Then I used an auqua brush and MFT Dye inks Cotton Candy, Summer Splash and Grape Jelly to water color the panel. 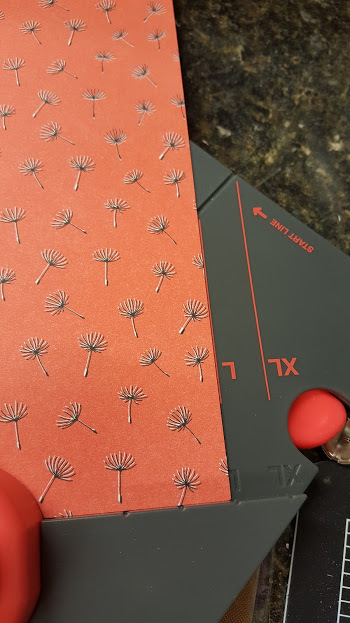 I had laid Stampin' Up's Striped Scallop die on top to hold it flat while I dried it with my heat tool and noticed it left some faint markings. So I spritzed the die with water and placed it back down. Then I decided to spray Wendy Vecchi Pearl mica spray on it and let it dry. 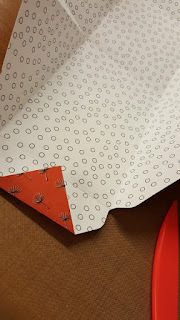 Once dry I die cut it with MFT's scalloped rectangle from Blueprint 20. I inked up a sentiment from MSE Sadness Flies with Brutus Monroe Raven detail ink and stamped the lower right corner. 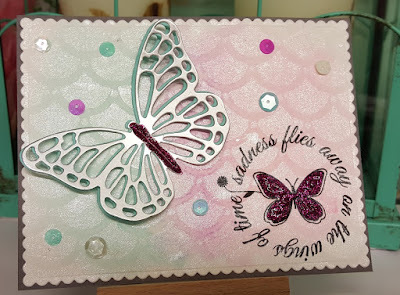 I die cut two Stampin' Up Butterflies one from MFT Brushed Silver and One from MFT Summer Slash. I layered them off set a little. I finished my card up by mounting it on a piece of MFT Gravel Gray card stock, added some Design Creative Bling sequins and Ranger stickles. For my project I created these cute bags to put some pick me up thinking of you doodads in. These are created with the WRMK Gift Box Punch Board. 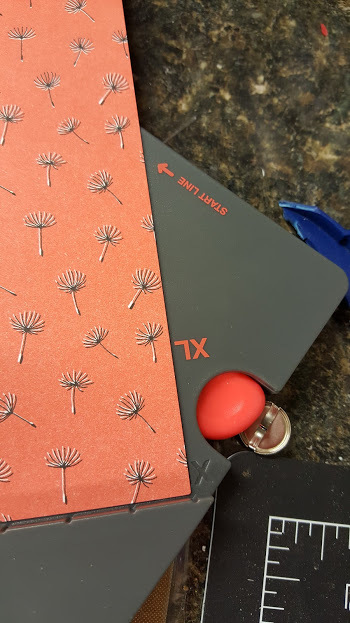 You start with a piece of 12x12 card stock and the punch board ( I turn my punch board so the words are upside down and the knob is closest to me to make it easier to punch). Line the paper up with the large mark on the right, punch and score the two marks that come from the punch. 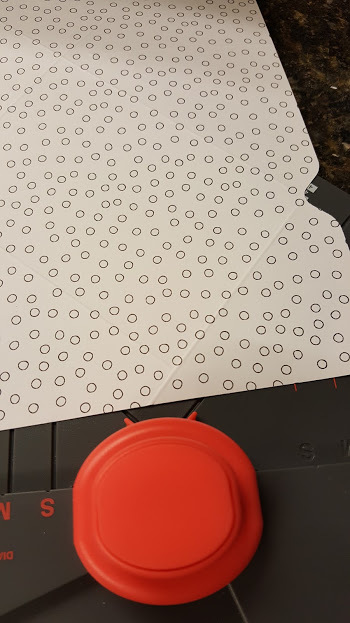 Flip the paper over and line up with the Large mark on the right and punch. Repeat for each side. . 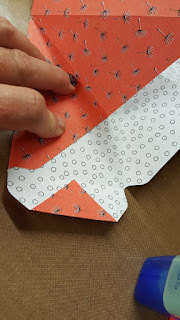 Glue the flaps at opposite ends down. this will be the sides. 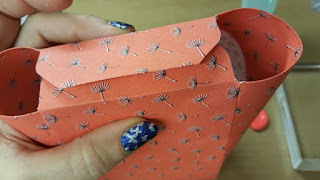 Then fold the sides in on these same ends and glue forming a box. Bring the two sides with the half flap together and punch a hole in the center that goes through both flaps to insert brad for closure. 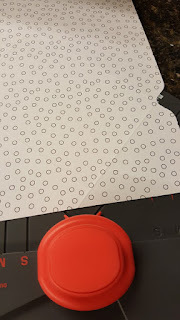 cut two strips of card stock 1/2' by 12' for handles. 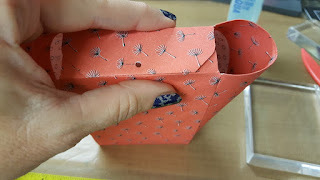 Glue the handles next to the front folds. You can add brads for strength and decoration. 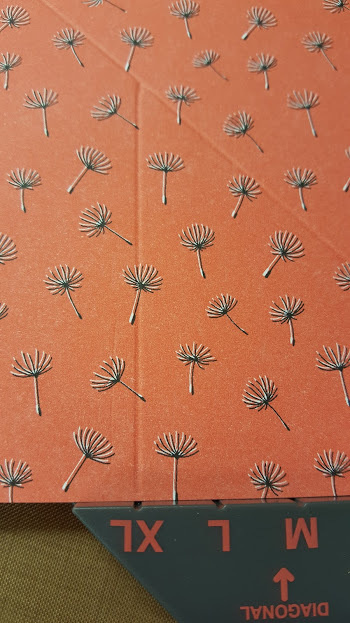 You can now put what ever decorations you would like on your bag. Enjoy! I'm so glad you stopped by and hope you enjoyed my creations. I'd love to hear from you in the comments section and feel free to follow me and checkout my other post. Up next is Lynn just click the Next button to continue on the hop and see what awesome creations she has in store for you! This is not goodbye but see ya later! Deana Benson -- YOU ARE HERE!! If you go to shop.lauralscott.com you will find an awesome 35% off sale plus spend $75 and get 10 off coupon. 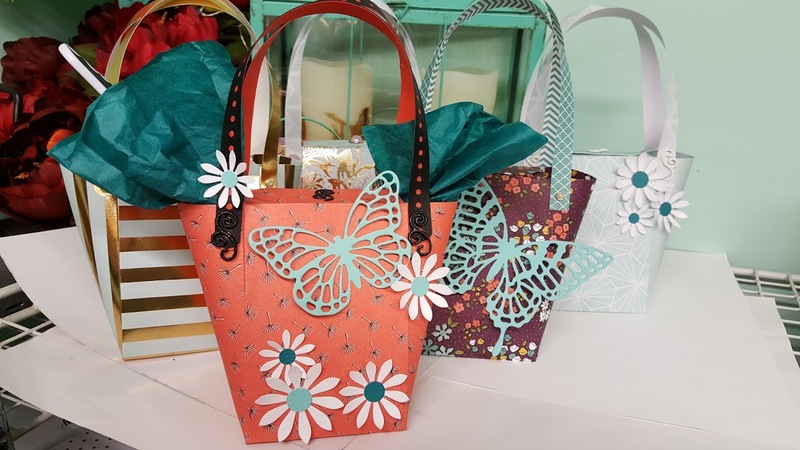 They have the WRMK 123 punch board that you can make these bags and more with. 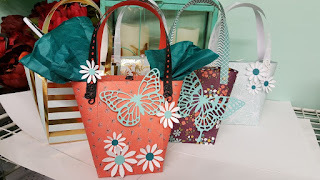 I love the butterfly and those bags are adorable! Thank you I will try but not sure how.I use a Note 5 to view it but it is a large phone. Love the bag and card. Always nice to have directions! #‎SFMayHop‬ Such a lovely sentiment! Love it and love your cards and creations as always! TFS! Beautiful card and that bag is precious! 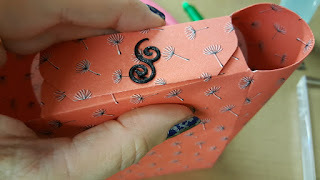 super cute projects Deana! thanks for sharing!! adorable purse and love the butterflies! 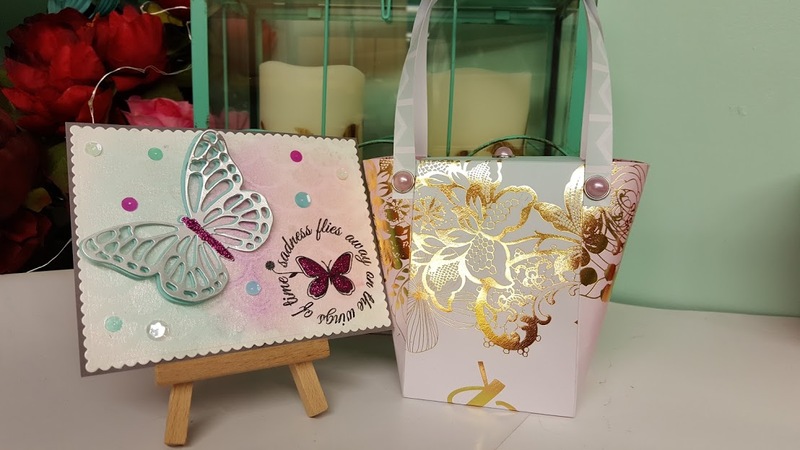 Such an adorable bag series, and I love your beautiful card!